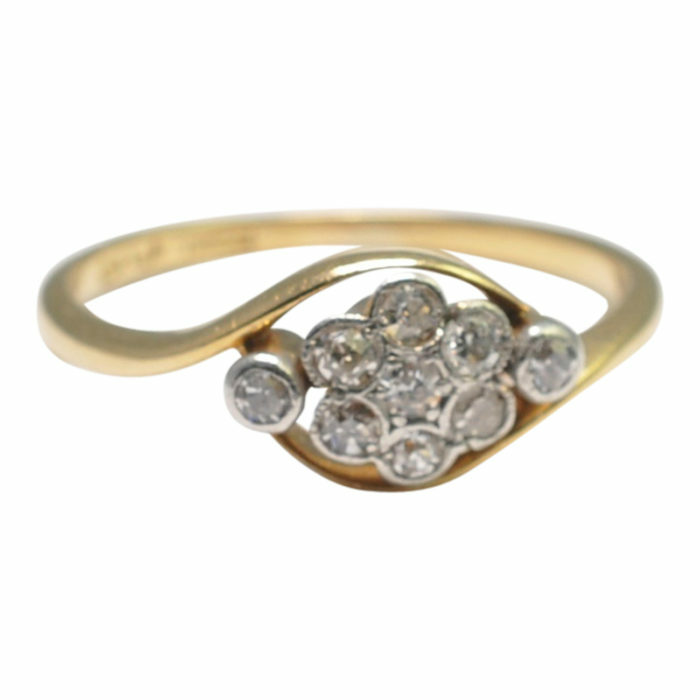 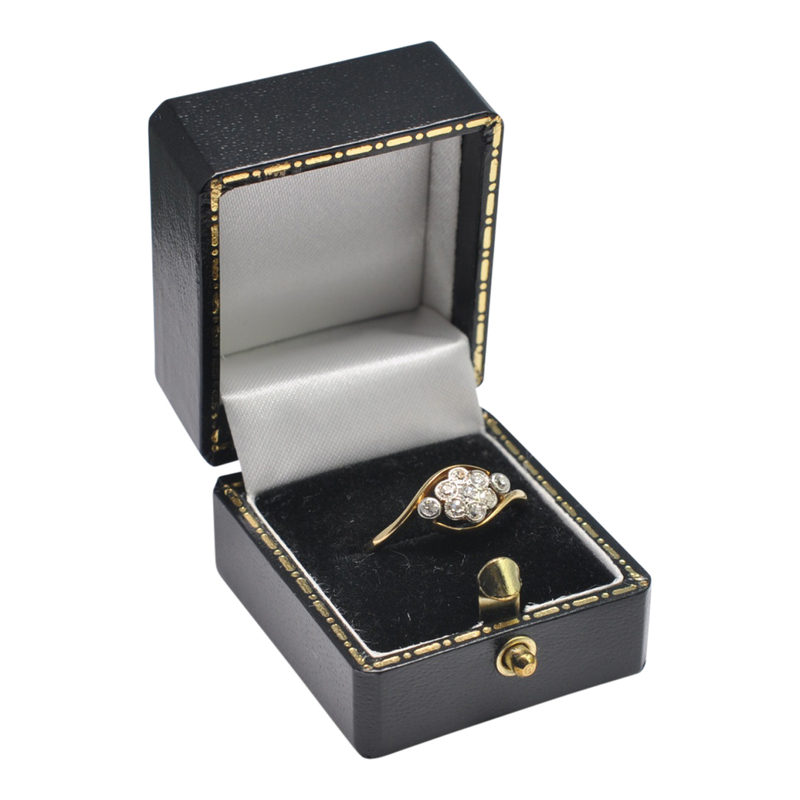 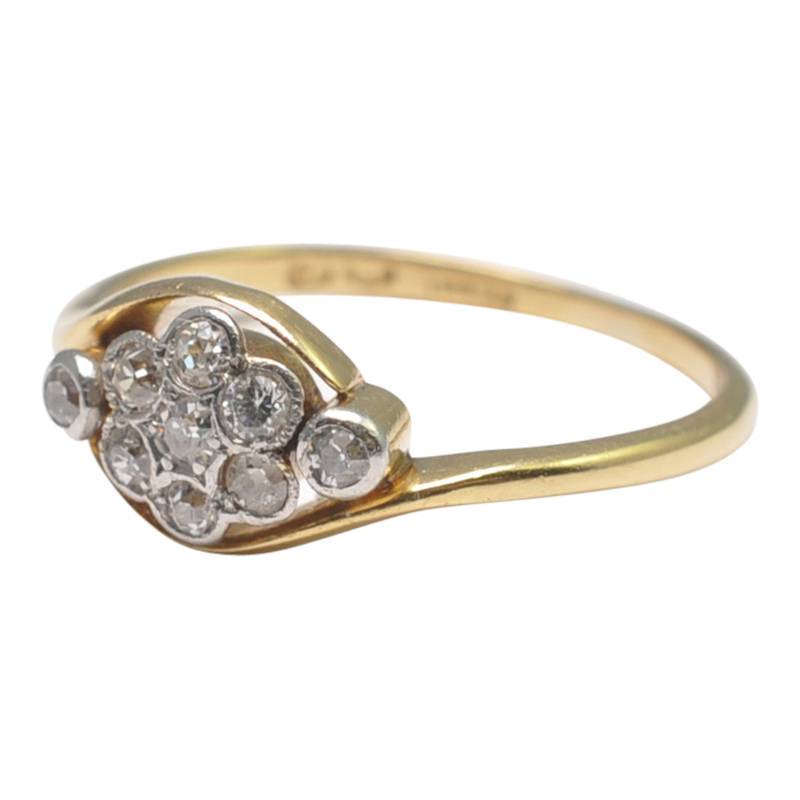 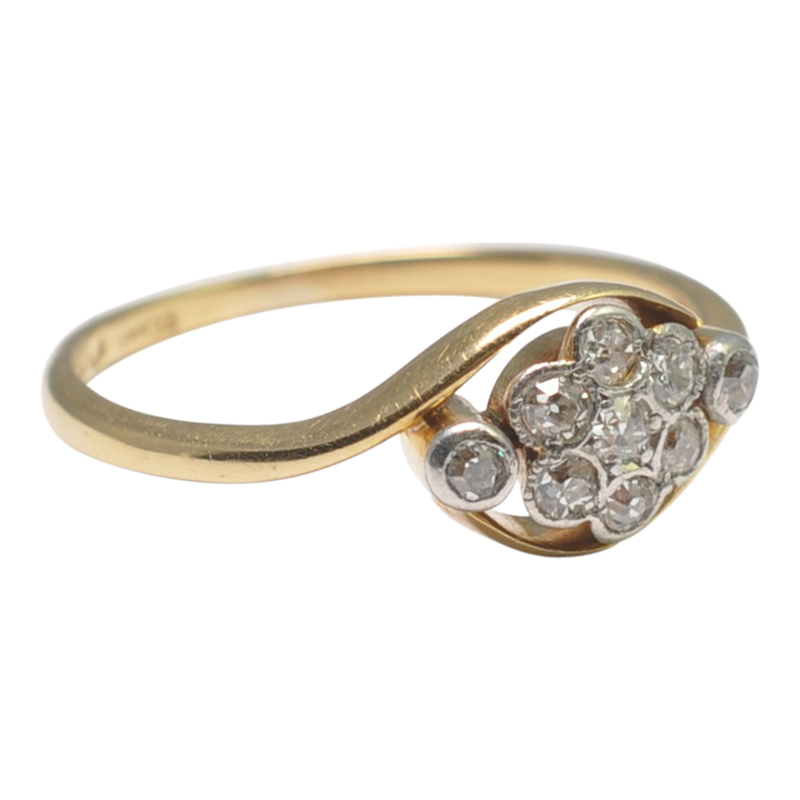 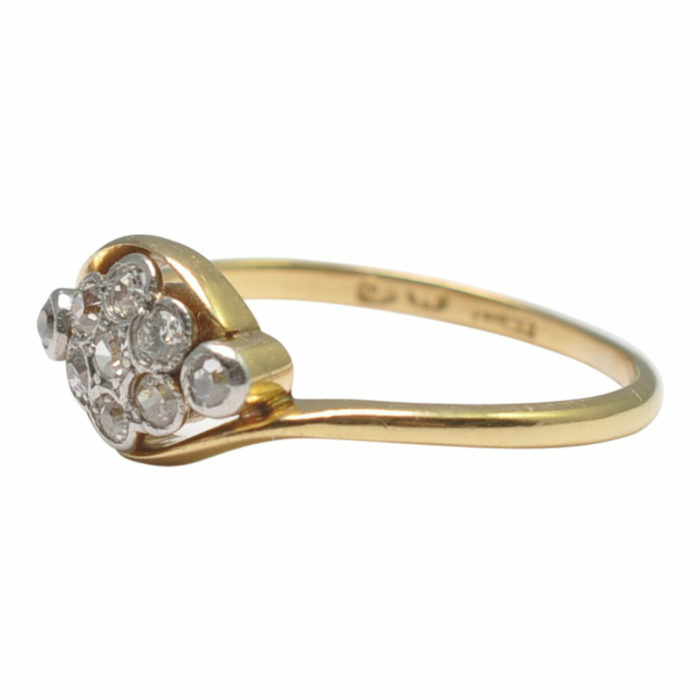 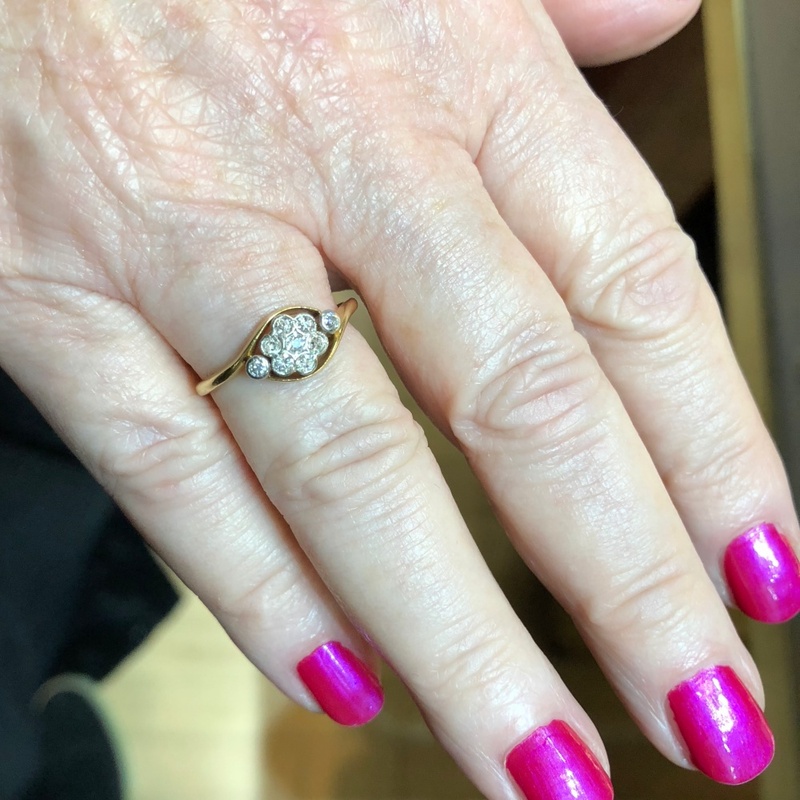 Victorian diamond cluster ring in 18ct gold; this pretty ring is millegrain set with Old European Cut diamonds in the form of a flower cluster, totalling 0.20ct. 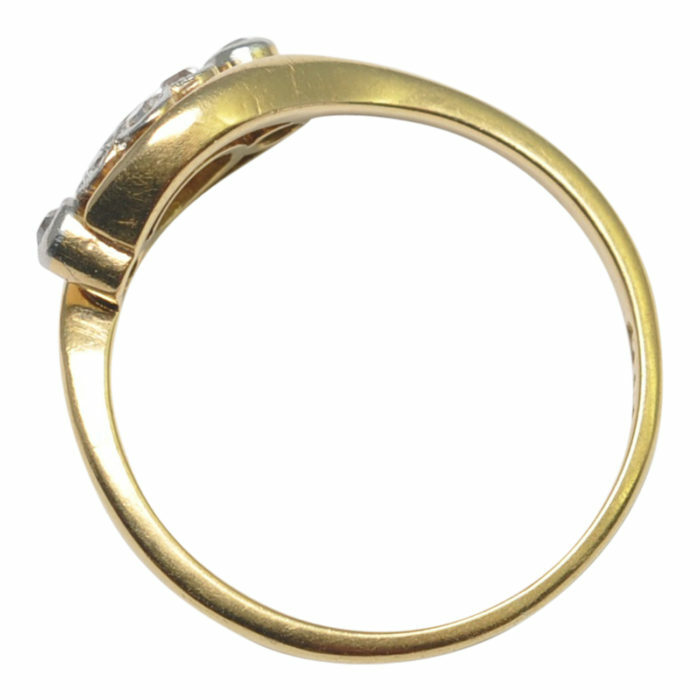 Weight 2.5gms; dimensions of head 1.15cm width x 0.75cm length x 0.38cm depth. Finger size N (UK), 6.75 (US), 54 (French) which we can re-size for you if required. 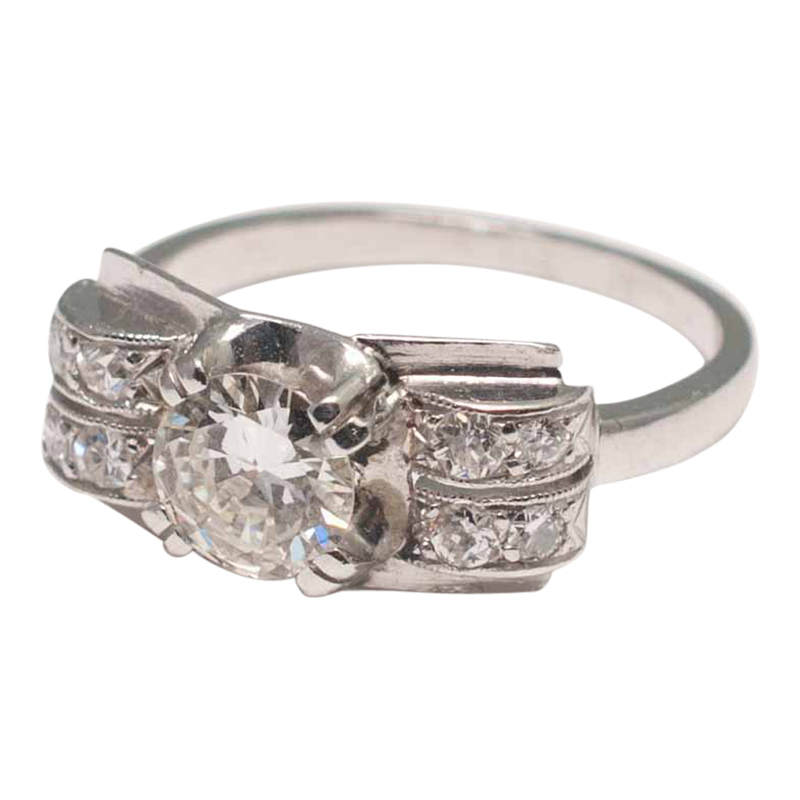 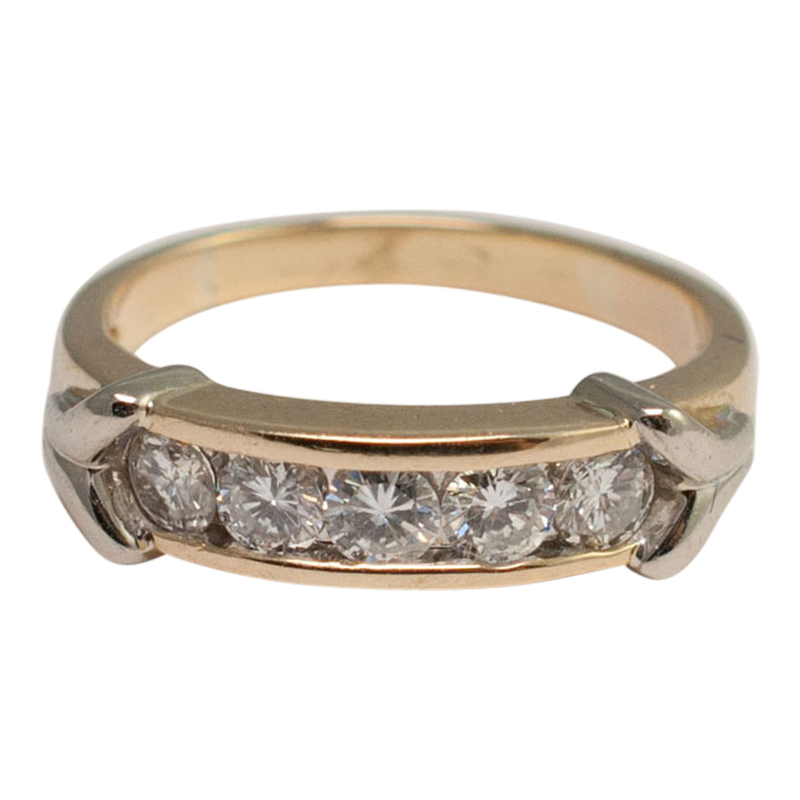 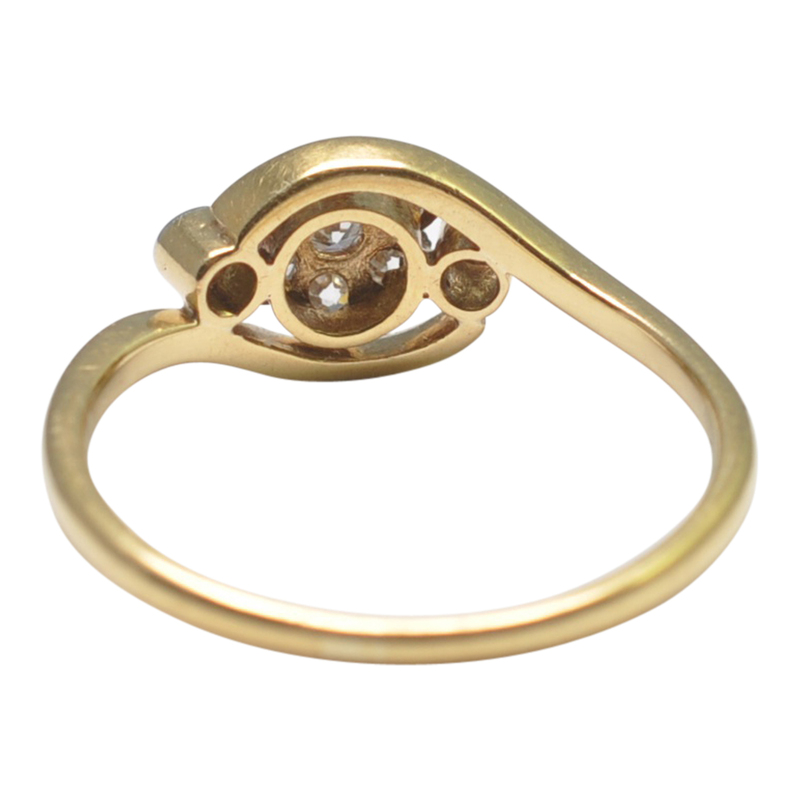 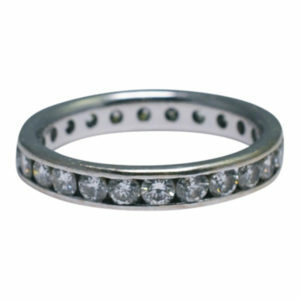 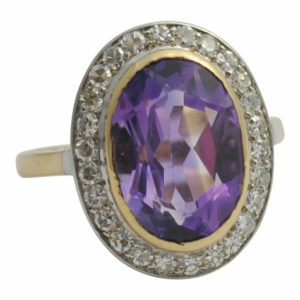 This ring is in excellent vintage condition and would make a lovely Victorian engagement ring. 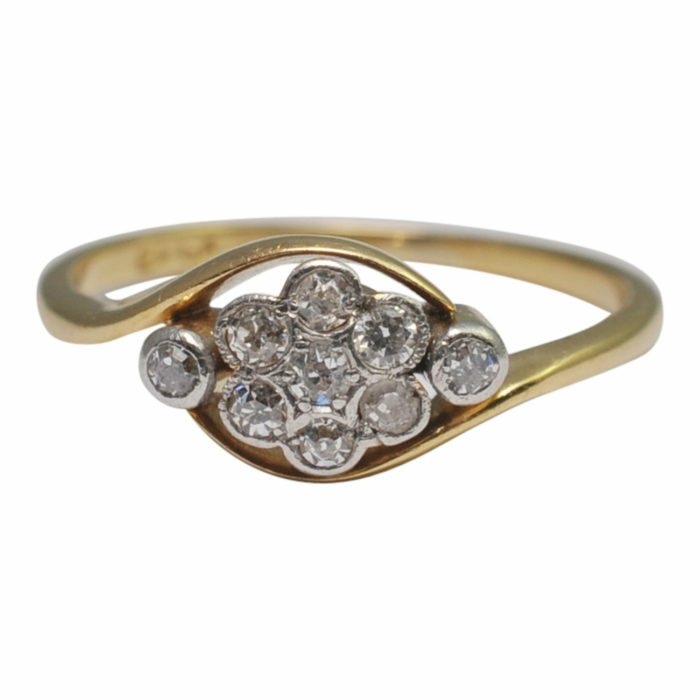 C.1880.